He is NOT the Burbank of Burbank, California. But anything else named “Burbank” was probably named for him. Admittedly, until I started researching my family, I’d never heard of Luther Burbank. 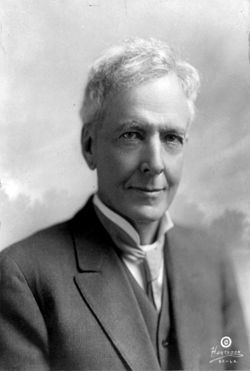 If you still haven’t heard of him: in short, Luther Burbank was a horticultural superstar. According to Wikipedia, he “developed more than 800 strains and varieties of plants over his 55-year career”, including the Shasta daisy, the Flaming Gold nectarine, the Freestone peach, the white blackberry, and the aforementioned Russet Burbank potato. (I’m getting hungry just thinking about his creations…) Schools, banks, parks, and Census Designated Places around the country were named for him, and an annual Rose Parade and Festival is still held in Santa Rosa in his honor. Certainly, Sonoma County, California seems proud of Burbank’s contributions to the region . There’s a “Luther Burbank’s Gold Ridge Experiment Farm” (actually once owned by Burbank himself) in my dad’s hometown of Sebastopol. 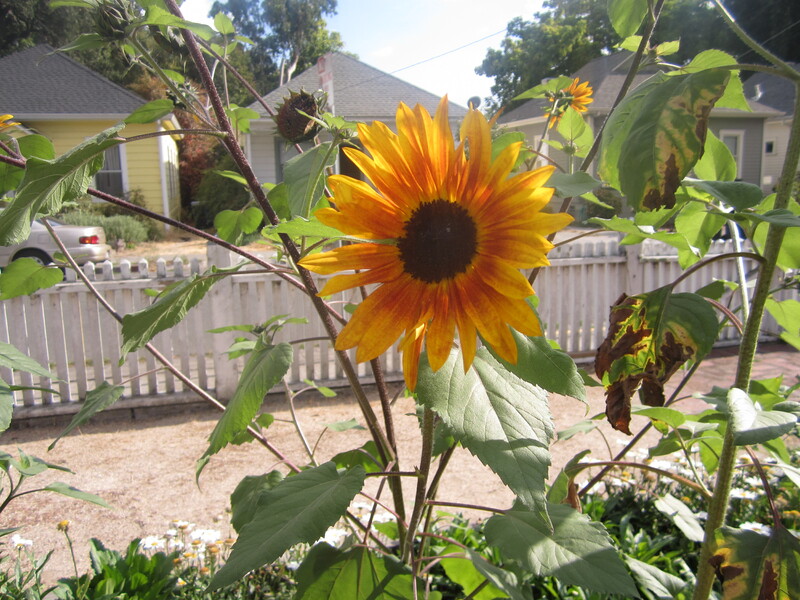 In Santa Rosa, one of the most popular tourist attractions is the Luther Burbank Home and Gardens. I haven’t been to the farm yet — or the ‘Home’ part of Luther Burbank Home and Gardens — however, I did get to visit the gardens last summer, and thought they were quite lovely and surprisingly peaceful! 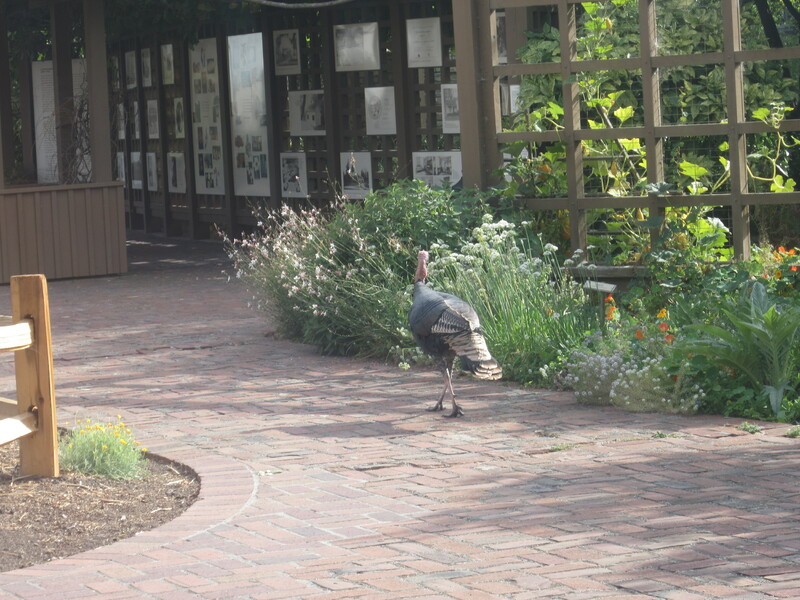 Okay, I’m not sure if turkeys are officially showcased at the gardens, but the bird pictured above happened to be strutting around the day I visited. Well, now that you know a bit about Luther Burbank, you might be wondering what any of this has to do with travel. Or with my family. Like Luther Burbank, my 2nd great grandfather — Isaac Fred Tillinghast — was a horticulturist. Not only that: his only brother, Alvinza Gardiner (how’s that for prophetic names?) was also a horticulturist. 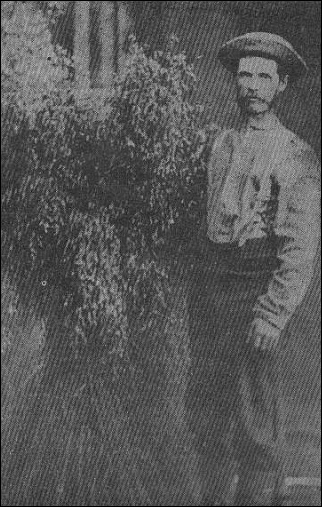 The brothers were born in Pennsylvania, and my 2nd great grandpa spent most of his life back east. However, in 1870, Alvinza Gardiner (cited in some sources as simply “A.G.”), along with his cousins R.E. Whitney and E.A. Sisson, relocated to Skagit County, Washington. 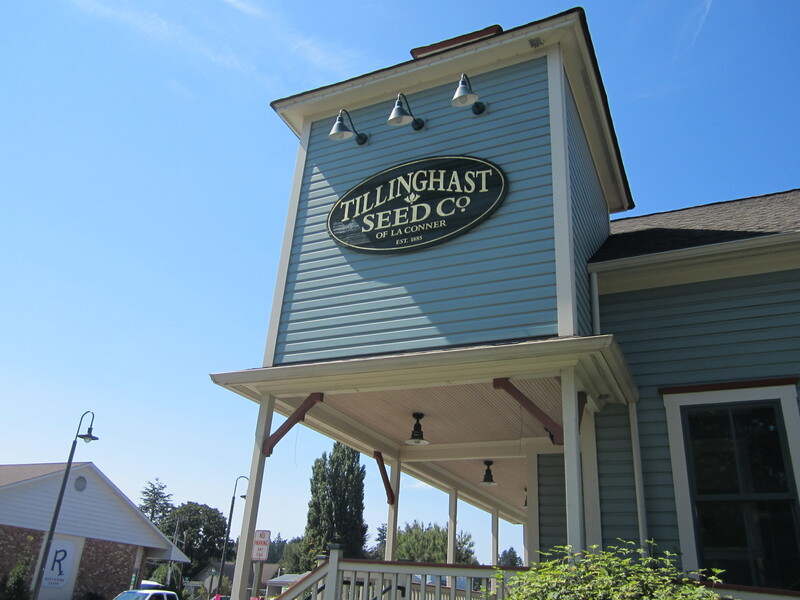 Eventually, they founded what came to be known in the 1920’s as the Tillinghast Seed Company. Apparently, it was one of the first seed companies in the Pacific Northwest; you can read more about it here. Skagit County Pioneer A.G. Tillinghast, my 2nd great grand uncle! There’s a really good restaurant called Seeds currently occupying the space where the seed company used to operate. So, yes, the current owners do pay homage — including on the walls, where you’ll see vintage Tillinghast Seed Company packets and even some old family photos (including a portrait of A.G. with his wife, Emma, and son, Francis). To the best of my knowledge, Alvinza Gardiner was Washington State’s very first Tillinghast. His descendants still live in La Conner; in fact, I met one of them back in April. But he doesn’t have much to do with how I ended up here. He did, however, play a small-yet-important role in my family’s move from Pennsylvania to the west coast. As did Luther Burbank. “In 1870, Isaac’s older brother, Alvinza Gardiner Tillinghast, and two cousins, E. Sisson and R. Whitney, caught the ‘Westward Ho!’ fever and immigrated to Washington territory, where they pioneered among the Siwash Indians. They undertook the task of reclaiming tideland on Puget Sound. The work was done manually with a spade and wheelbarrow. Miles and miles of dikes were put up to keep the winter water off from what was mud flats in the summer. In two years the soil would freshen from salt and grow almost anything. While his brother was accomplishing seemingly impossible tasks on the west coast, Isaac F. was busy on the east coast running a flourishing plant business in Pennsylvania. From his brother in Washington he received a barrel of cabbage seed. Unable to plant this large amount, Isaac added a few other varieties of plant seeds and went into the seed business. He reached the public by sending out 600 post cards, and his first order was for $10.00. From then on Isaac’s business flourished and grew until he was printing and mailing 250,000 catalogues and employed sixty people. So, based on the above, Alvinza Gardiner influenced his brother’s (my 2nd great grandfather) venture into the seed business. Through that business, Luther Burbank contacted my 2nd great grandfather… and eventually, my 2nd great grandpa more or less financed Burbank’s move to Santa Rosa! The article also notes that, toward the end of his life, my 2nd great grandpa served as agricultural editor for the Santa Rosa Press Democrat. There are other interesting facts included as well (though not particularly relevant to his Pennsylvania-Santa Rosa uproot). 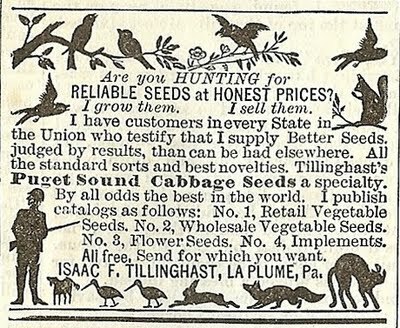 Vintage ad for my 2nd great grandfather’s seed business! 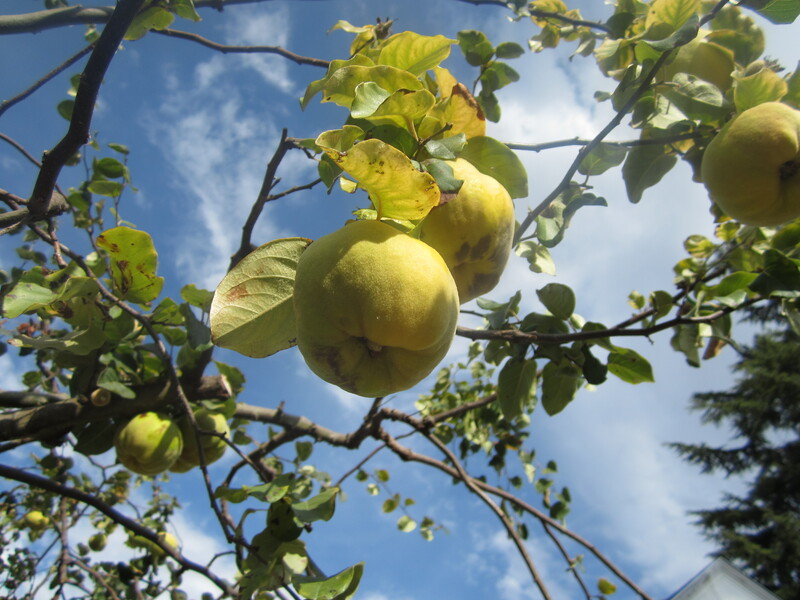 So there you have it: the story of how seeds, potatoes, and Luther Burbank helped bring my branch of the family to the west coast. Well… part of the story. I still haven’t said much about my great grandfather, Wilmer Atkinson Tillinghast (mentioned in the article above). He traveled to Santa Rosa with my great grandma Daisy — and their eight kids — in a Model T Ford (presumably they moved out west to work with his dad and/or Luther Burbank). Their journey is a great story in itself, and deserves its own “Travel Tuesday” post (as soon as I learn a little more about it!). Incidentally, Wilmer had several siblings; however, I’m unaware if any of them shared the interest in horticulture that Wilmer seemed to have inherited from his father. (Though, talk about prophetic names: “Wilmer Atkinson” — whom my great grandfather was named for? — was the founder of Farm Journal.) In any case, I don’t believe that any of Isaac Fred (and Edith Brundage) Tillinghast’s other children ended up in Sonoma County, California. Some of them remained back east; others relocated to Ohio, southern California, and Arizona. One of them currently has several descendants living not too far away in Oregon. As far as how Washington became my home state: that was my grandmother/great-uncle(/stepgrandfather’s) doing. At some point — after my grandfather died, and my grandma remarried his brother Harold, she and Harold moved up here. I’m not sure why. Most of Wilmer and Daisy Tillinghast’s other descendants still live in Sonoma County. My siblings and I (and most of our 1st cousins) are first-generation Washingtonians! That about wraps it up for this edition of “Travel Tuesday.” Tomorrow I’ll try a shorter post (maybe “Wordless Wednesday”?). Meanwhile, check out my great-great grandfather’s book on Amazon! I don’t have a paperback copy yet, but I do have it on my Kindle! You love that your 3rd Cousins wife knew more about his family history than most people know of their own.